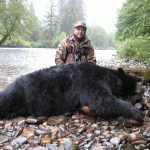 The Finest Hot Spots on Prince of Wales Island, Misty Fjords and the Ketchikan Area. 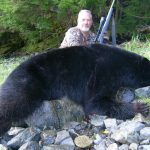 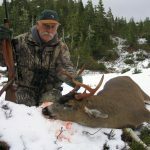 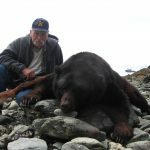 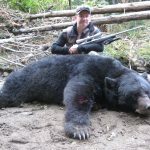 Experience some of the finest hunting available on Prince of Wales Island and Misty Fjords for Trophy Coastal Black Bears. 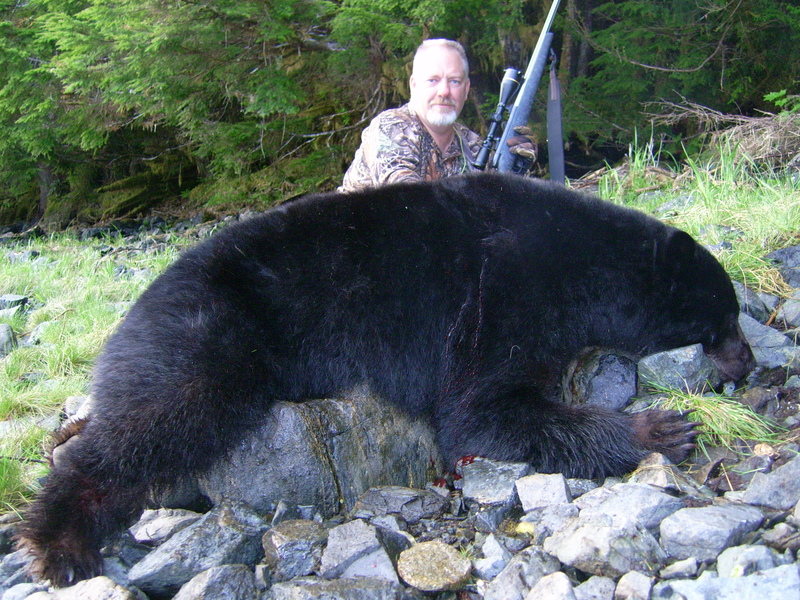 This is a spot and stalk hunt which takes place by boat in the bays and inlets of Southeast Alaska. 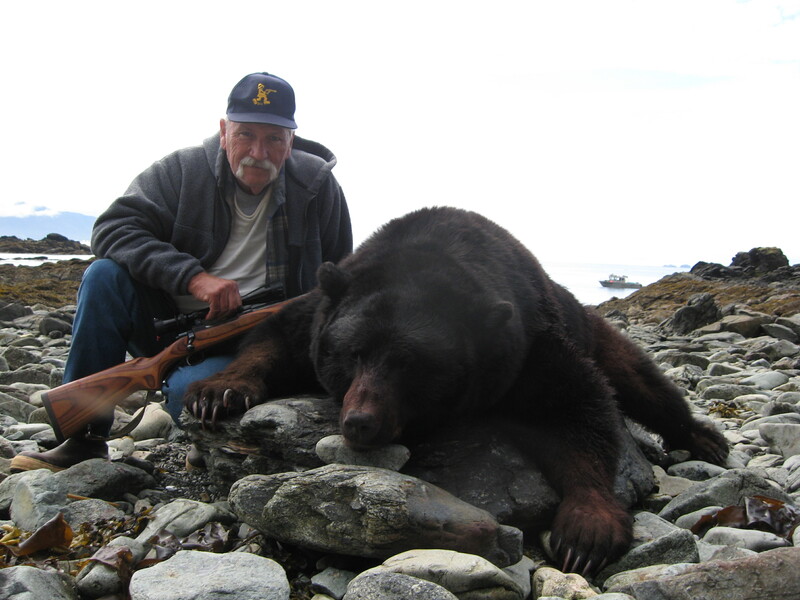 Wildlife is abundant on these hunts and allows you an excellent opportunity to view whales, porpoises, seals, and sea lions. 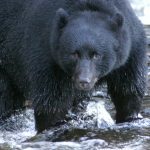 On the beaches, many small animals such as Mink, Pine Martin, and Land Otters may be seen as well as Sitka Blacktail Deer, Wolves, Bald Eagles, and the ever-present Black Bear. 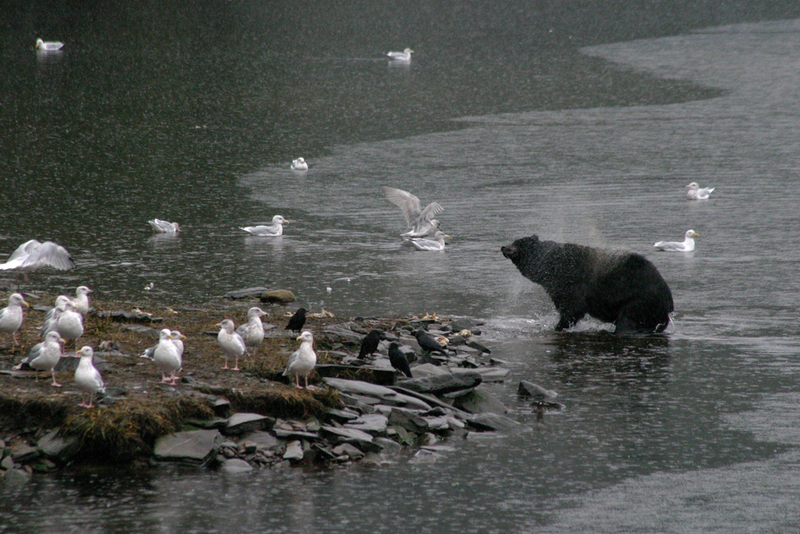 In the spring, bears gather on the beaches and tidal flats while in search of Crabs, Mussels, and green grasses. 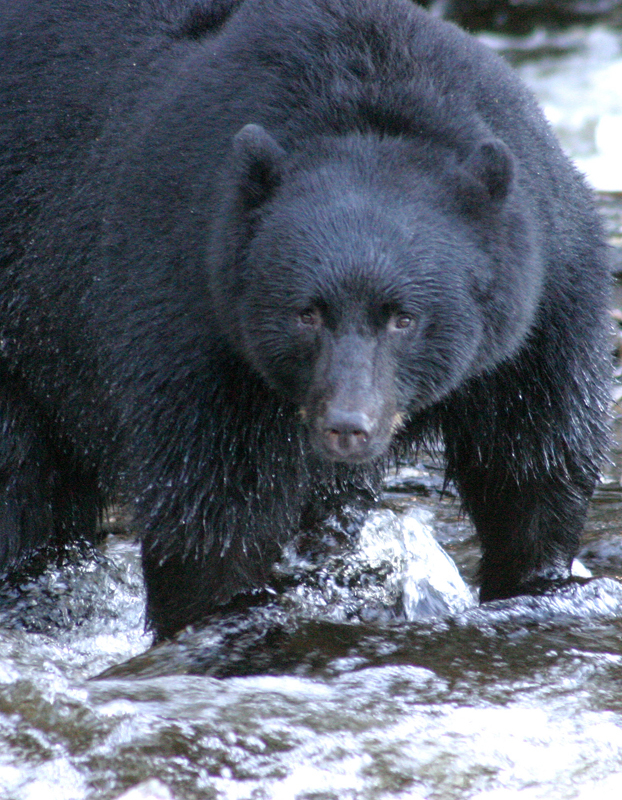 In the fall they congregate on the salmon spawning streams and berry patches. 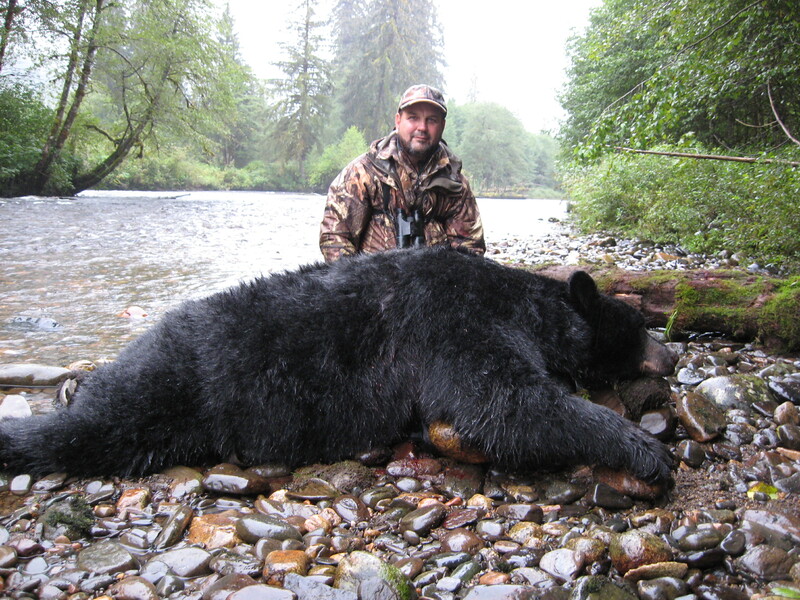 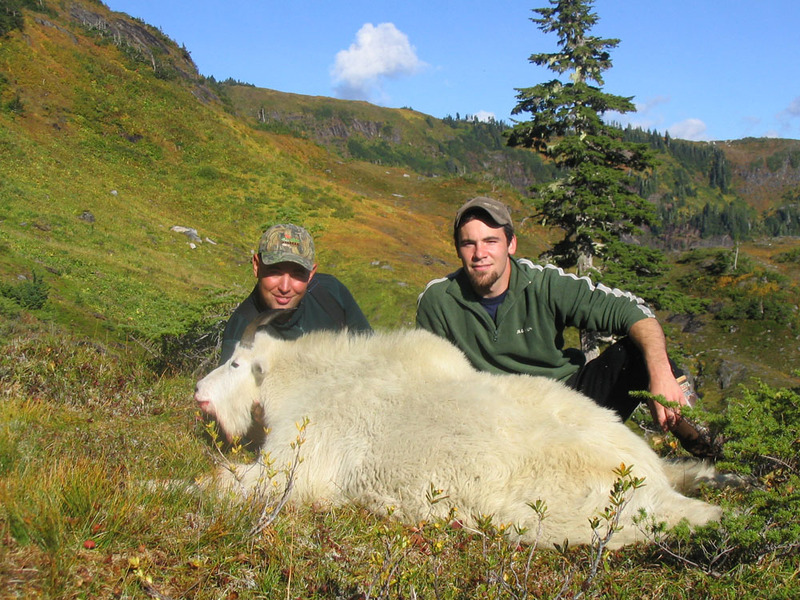 This is a high success hunt which offers multiple opportunities at bears that average 7 foot squared. 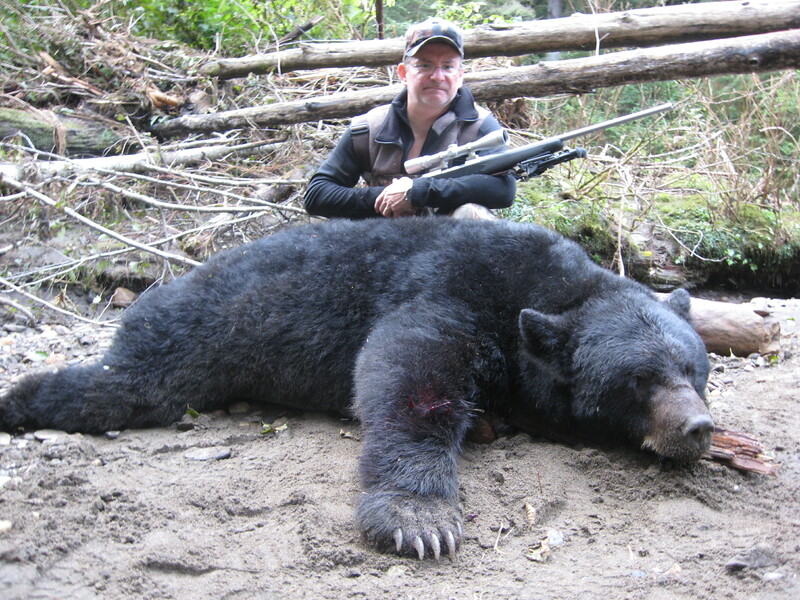 On average we see between 5 to 15 bears per day. 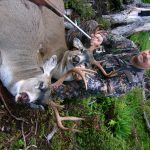 Expect anything from blue skies and sun to heavy rain and wind on both Spring (April, May, and June) and fall (September and October) hunts. 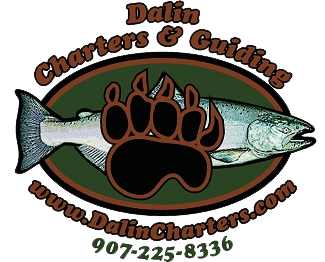 We commonly set crab and shrimp pots while hunting. 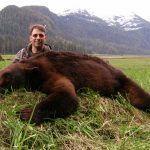 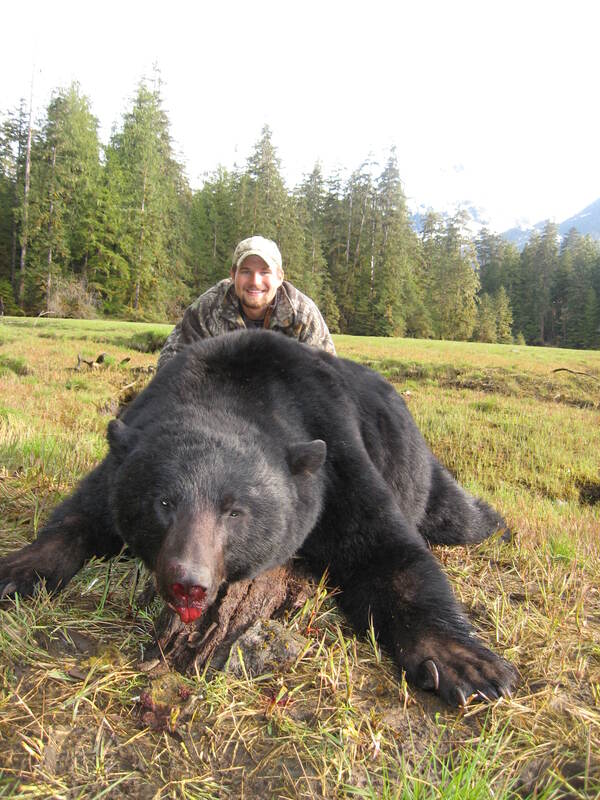 The black bear hunts are not very physically demanding and tend to be both relaxing and enjoyable making it a great hunt for two or more such as father and son groups. 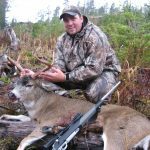 If you wish to extend your trip, other activities such as salt and freshwater fishing or waterfowl hunting can be added depending on the time of the year. 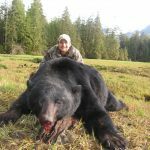 Includes: Complete guide service, lodging, airport transfers, meals while in the field, trophy & meat care. 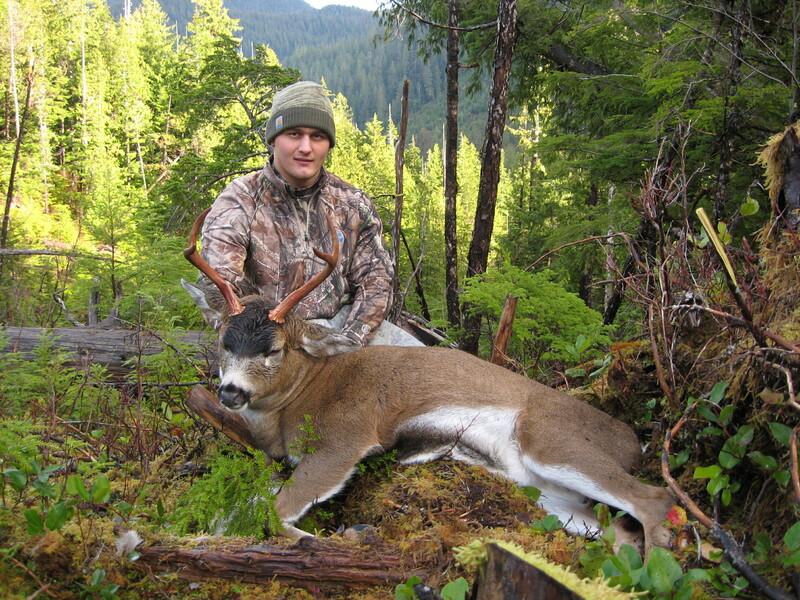 Not included: Hunter’s personal gear, all tags, licenses, and all applicable taxes. 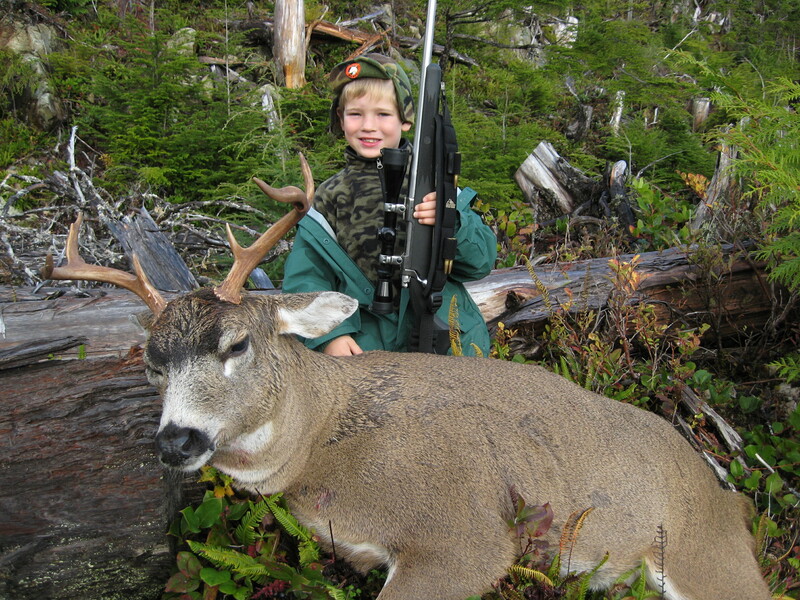 Not included: Hunter’s personal gear, all tags, licenses and all applicable taxes. 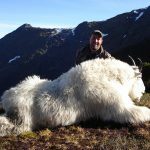 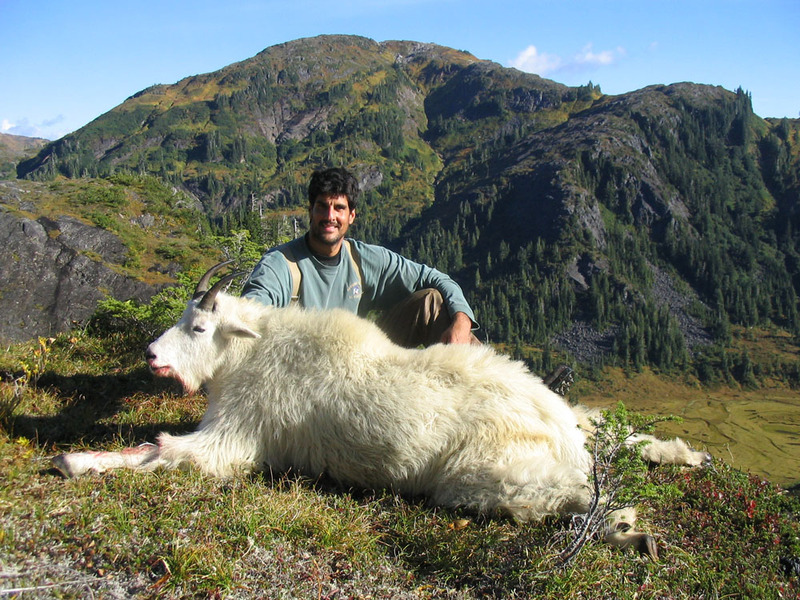 Southeast Alaska boasts some of the densest Mountain Goat populations in the world and is known to produce many trophy class animals. 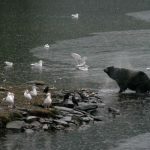 After arriving in Ketchikan we will fly into one of the many high alpine lakes located in the Misty Fjords National Monument and set up base camp near the lake shore. 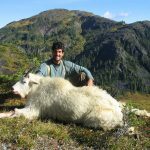 We will then negotiate 1,000 to 3,000 feet elevation in sometimes very steep terrain to where we will set up spike camps and proceed to locate goats we intend to stalk. 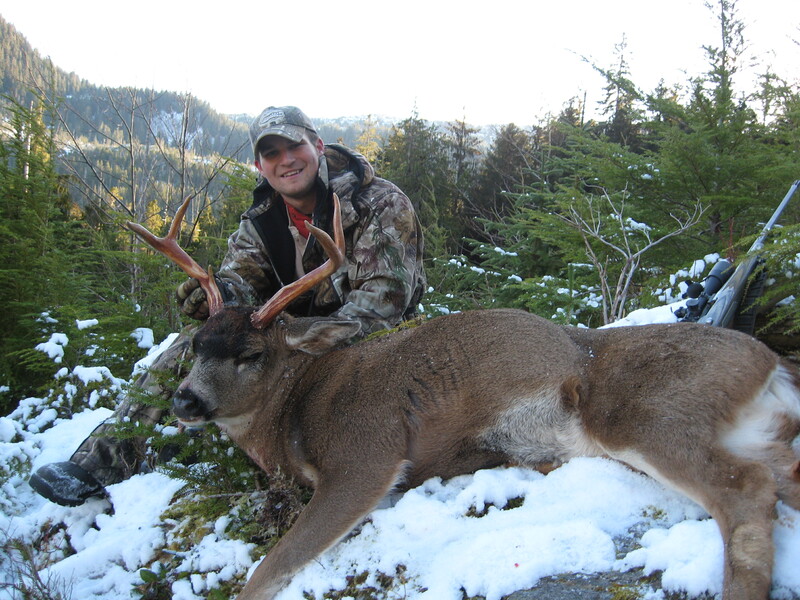 Weather plays a significant role in determining the enjoyment and success of your hunt. 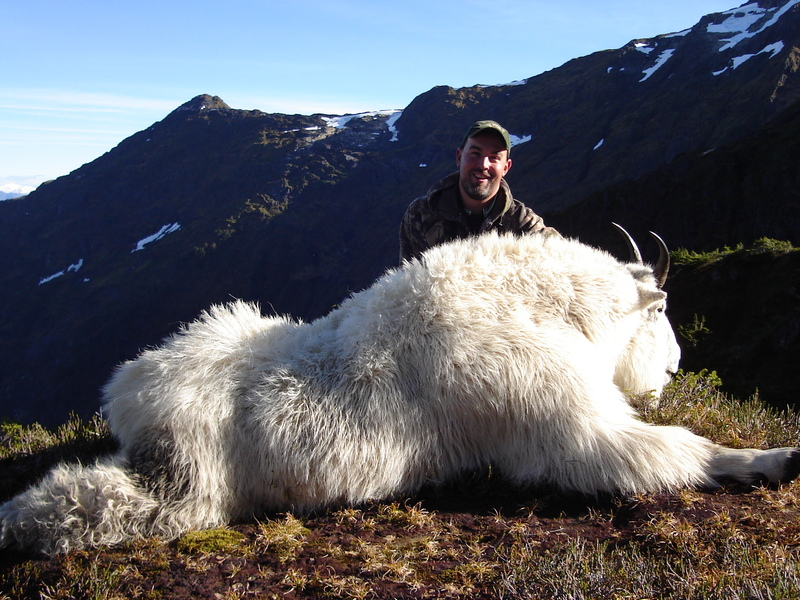 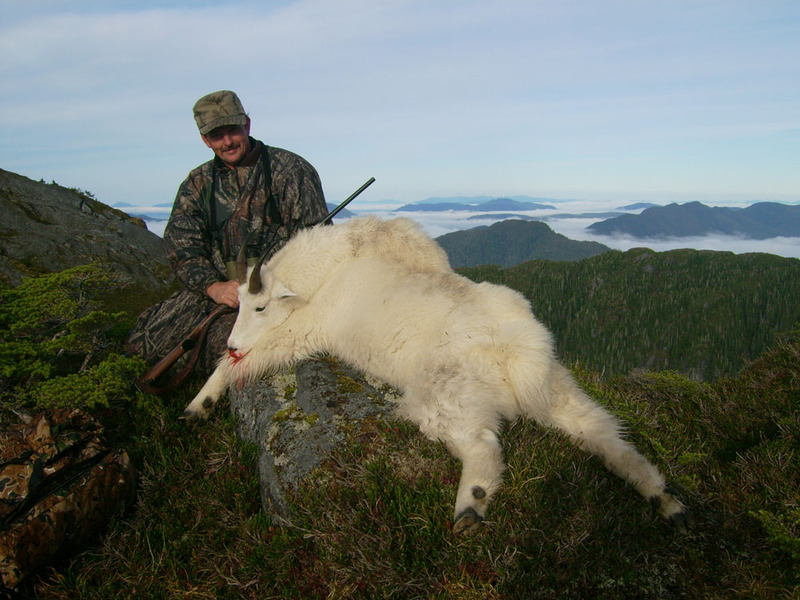 For the most part, Goat hunting is probably the most physically demanding of all the big game hunting. 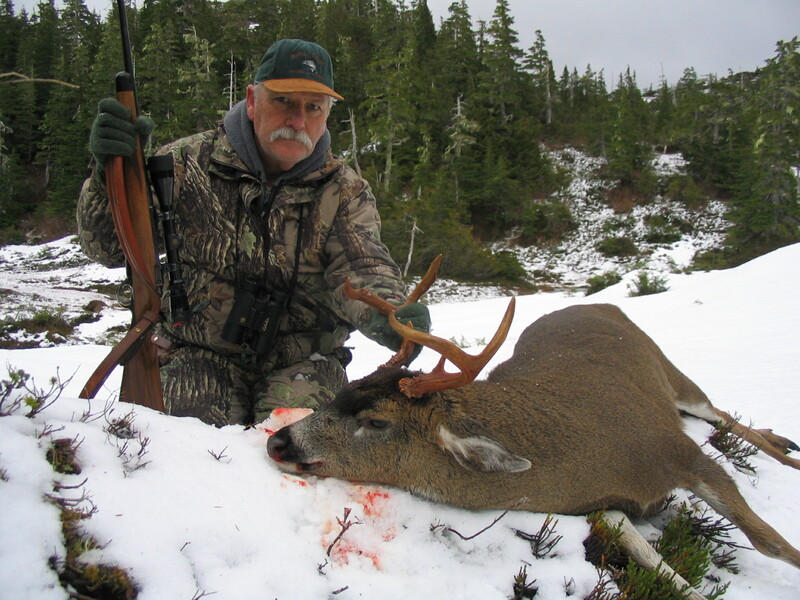 The quality of the hunt is very much determined by the physical condition of the hunter. 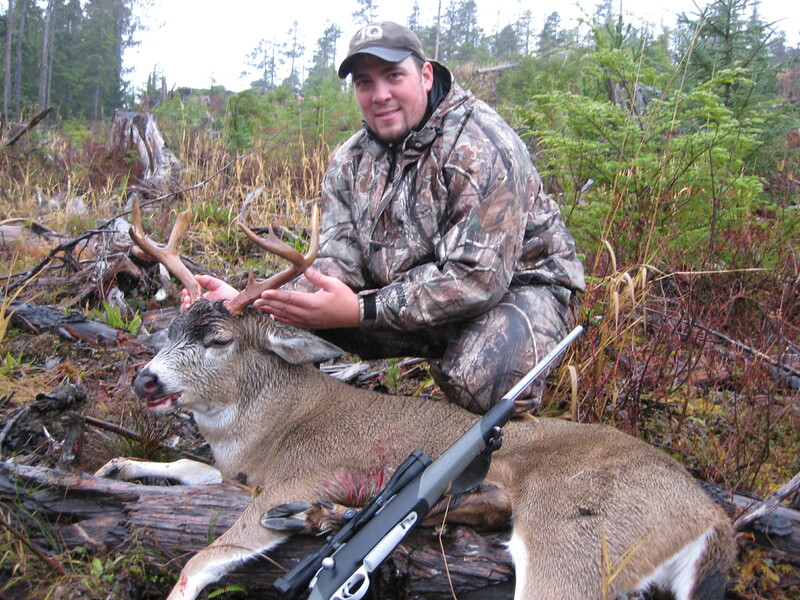 We recommend that you be in good condition and utilize the best equipment you can. 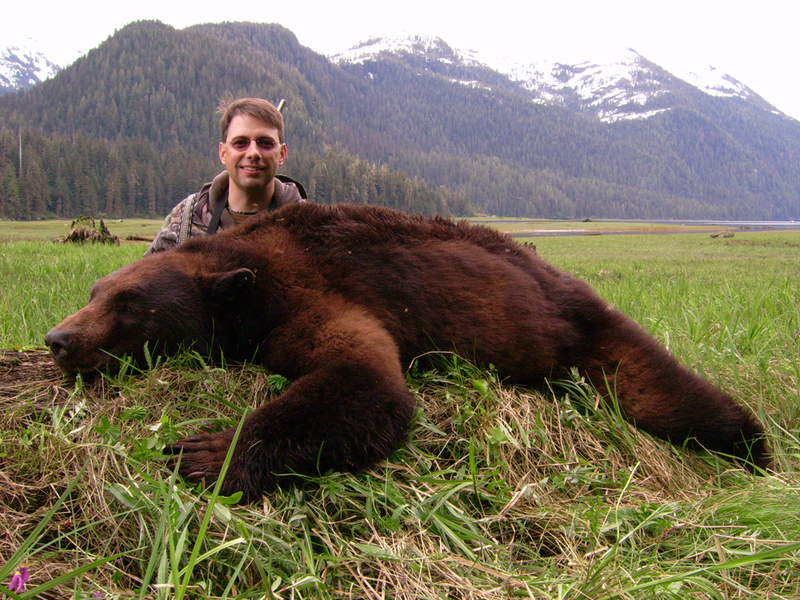 Hunting takes place from September through the end of October. 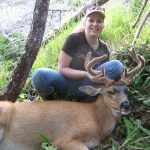 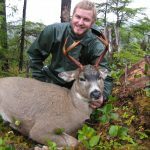 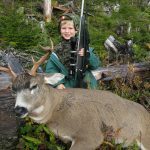 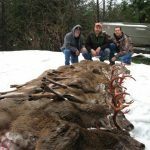 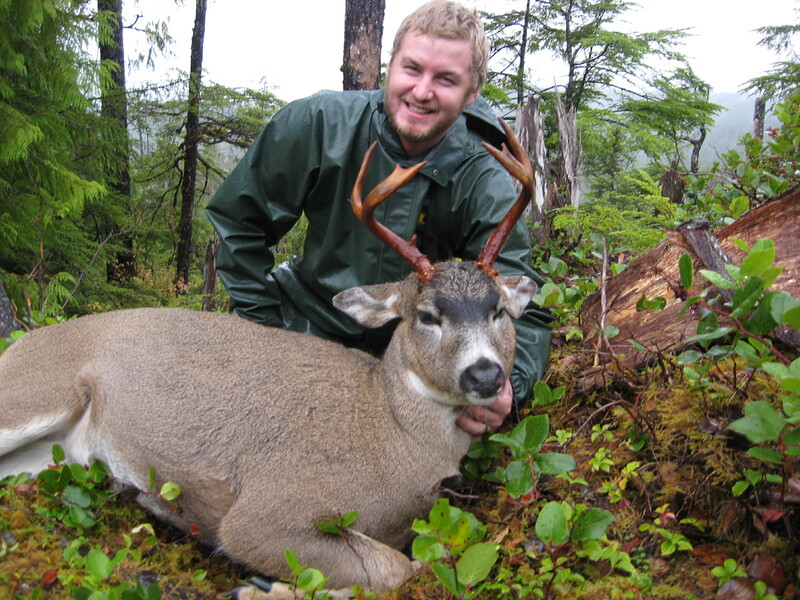 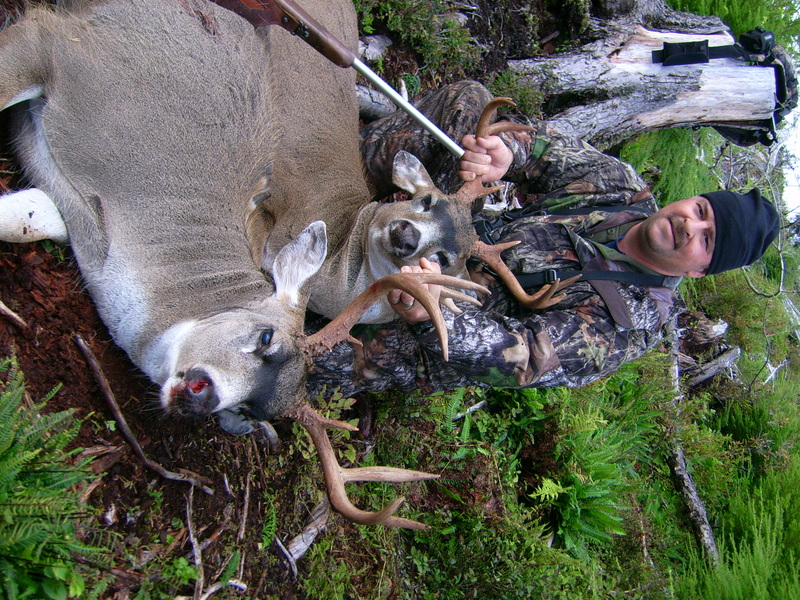 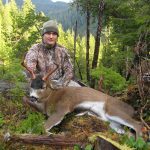 The rainforest of Southeast Alaska offers superb hunting for Sitka Blacktail Deer. 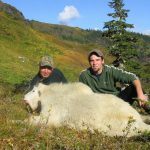 We have early season hunts which take place above the tree line in the high alpine country as well as late season hunts in both the timber and muskegs. 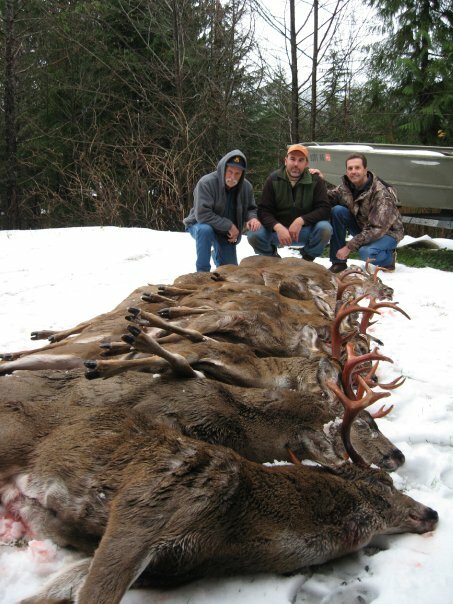 Most hunts are fly outs and take place on Prince of Wales Island. 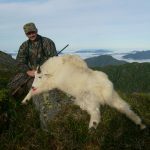 August and September alpine hunts offer the chance for good weather with bucks feeding in the lush vegetation offered at this time of the year. 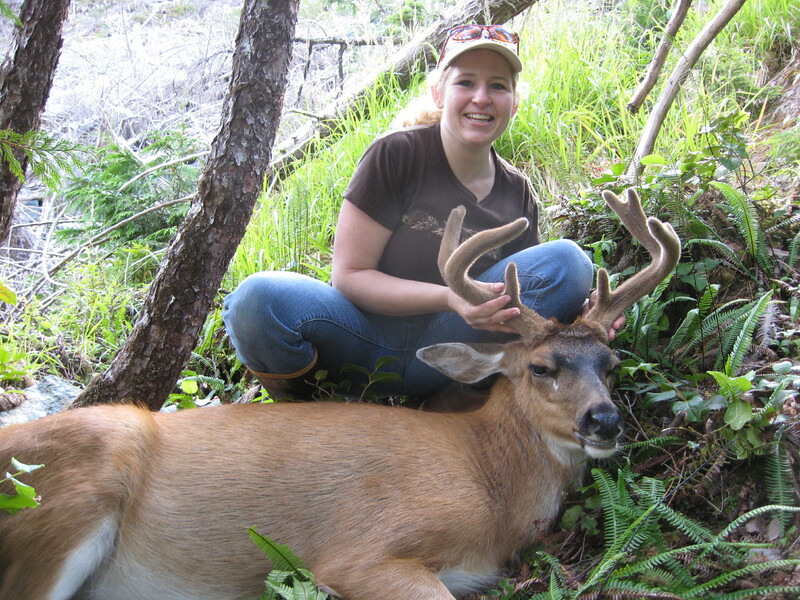 Some bucks may still have velvet on the antlers and sleeker reddish colored summer coats. 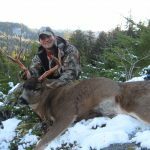 Late October and November presents our bucks looking their best with heavy winter coats, thick necks, and polished antlers. 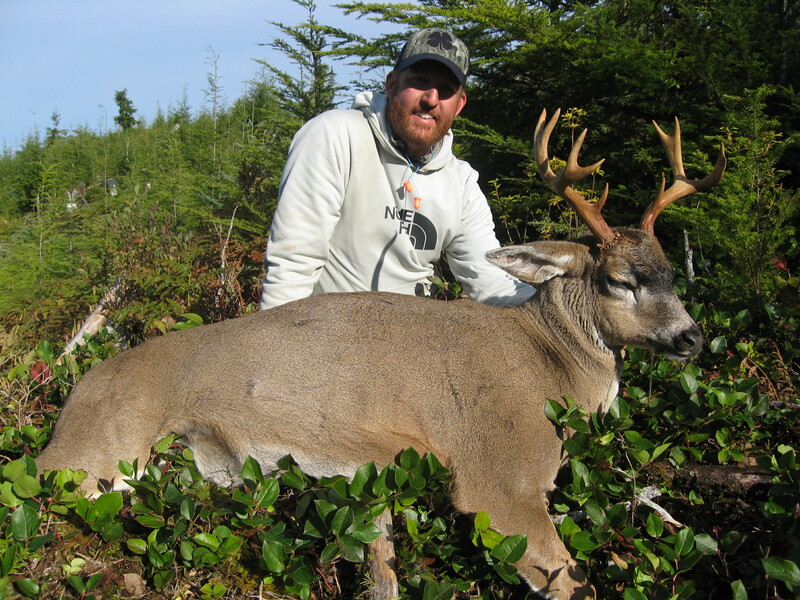 During this time we will hunt lower elevations and use calls as the deer are in the rut. 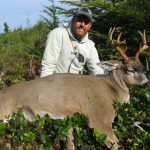 All deer hunts offer the opportunity to combine fresh or saltwater fishing, Black bear, and waterfowl if you wish to extend your visit.